The conference also witnessed a keynote address by Hamad Darwish, Business Development Manager, Al Etihad Credit Bureau (AECB). Mr. Darwish explained how the credit bureau could support insurance companies to better manage their receivables and offer customized pricing to low risk customers. Insurance innovations was a central theme at WTIC 2019 and it witnessed an exclusive one-on-one interview on identifying innovation opportunities with Zia Zaman, Chief Executive Officer, LumenLab & Chief Innovation Officer, MetLife Asia - one of the most notable figures in this space, that was hosted by Dr. Basel Hindawi, Chief Executive Officer, DIFC Insurance Association (DIFC IA). The conference also spearheaded an exclusive one-on-one interview on undertaking business transformation by integrating innovative technological solutions with Reena Vivek, Chief Operating Officer, Zurich International. 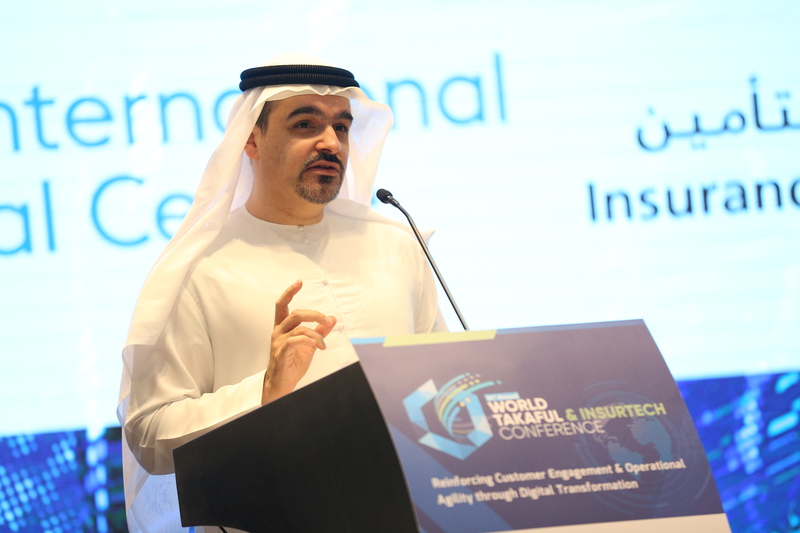 “I am excited to be a part of the 2019 World Takaful & InsurTech Conference. I’m curious to explore innovative insights from our peers, practitioners and regulators that will help us to drive our industry forward. We must embrace new ideas to deliver superior customer experiences. Ultimately, it’s about connectivity, being more connected to our customers, and technology can enable us to connect. Sometimes it's the smallest thing that will have the biggest impact!”, expressed Ms. Vivek. Speaking as part of the panel on calibrating leapfrog strategies for TakafTech, InsurTech and Innovations in claims and healthcare insurance, Fatou Assah, Manager, Finance, Competitiveness & Innovation, World Bank Group said, "Recently in Africa & Asia, InsurTech has helped accessing the unbanked and uninsured, especially low-income population living in rural areas, through mobile phone technologies or e-vouchers. The use of satellite data or drones in product design and claim processes have also significantly helped the insurance industry address some key challenges. 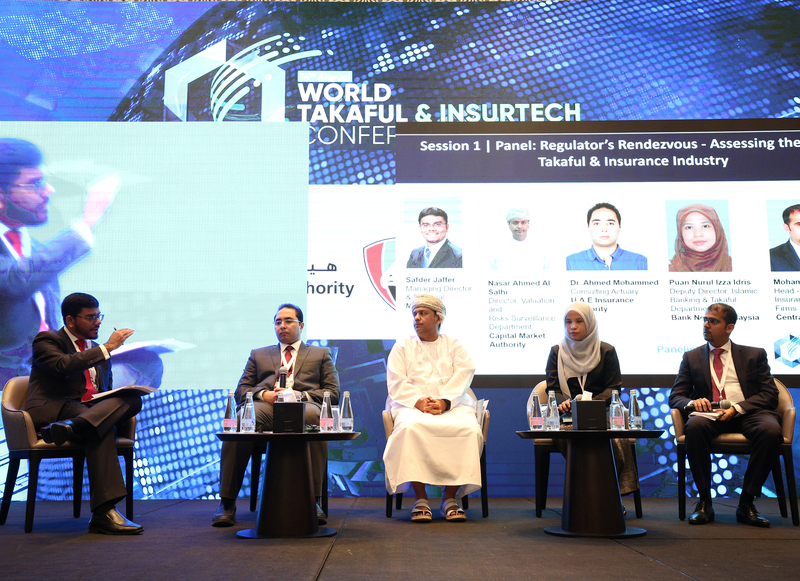 We are excited to have participated in the 14th World Takaful & InsurTech Conference and learn about innovations that might be applicable to developing countries." The two-day forum was moderated by Dr. Alberto Brugnoni, Founding & Managing Partner, ASSAIF and Mohammed Tarmidzi Ahmad Nordin, Independent Non Executive Director, BIMB Holdings Berhad. Other key highlights from the conference included thought leadership by Salmaan Jaffery, Chief Business Development Officer, Dubai International Financial Centre Authority, who offered his insights on building an insurance ecosystem and connecting conventional insurers and reinsurers with new technologies; an exclusive Product Showcase Innovators Session featuring innovative products and solutions by HandsOn Systems, Owners of Aktuaris and Merimen; exclusive Regulators’ Rendezvous whereby insurance regulators from U.A.E. Insurance Authority, Bank Negara Malaysia, Central Bank of Bahrain & Capital Market Authority shared the best regulatory mandates and practices for the industry to unleash its full potential whilst maintaining compliance; CEOs Panel on revolutionizing a traditional industry and driving insurance penetration and distribution in emerging markets by adapting to an array of industry challenges, featuring insights from leaders from SALAMA Islamic Arab Insurance Co, Dar Al Takaful, Gargash Insurance Services and National Takaful Company P.S.C - Watania; an insightful Audit Session on IFRS17 by FIS Global, Presentation on Streamlining aggregators' regulations for better governance that can influence the decision-making process of consumers by Jonathan Rawling, Chief Financial Officer, yallacompare and the World Takaful & Insurance Huddle - a congregation of global Takaful leaders to exchange viewpoints on addressing challenges and issues that will better position the industry to reach mass markets and achieve organic growth and development. WTIC 2019 also hosted dedicated sessions on evaluating rating standards and financial strength of insurance companies; embracing innovation & technology in the insurance industry to achieve industry-wide transformation, building internal talent and leadership of skilled and qualified personnel within the insurance industry; the challenge of progressing to profitability for Takaful operators and assessing the challenges of corporate governance in Takaful, among others. Key industry veterans from leading corporates, banks and regulatory bodies headlined the forum and imparted valuable insights on a host of central themes affecting the Takaful and Insurance Innovations industry at large. Speakers at WTIC 2019 included: Mark Cooper, General Representative Middle East & Director, Lloyd’s Limited; Puan Nurul Izza Idris, Deputy Director, Islamic Banking & Takaful Department, Bank Negara Malaysia; Mohamed M. Shamsi, Head – Conventional Insurance & Reinsurance Firms, Central Bank of Bahrain; Nasar Ahmed Al Salhi, Director, Valuation and Risks Surveillance Department, Capital Market Authority; Dr. Ahmed Mohammed Nagy, Consulting Actuary, U.A.E Insurance Authority; Fatou Assah, Program Manager, Finance, Competitiveness & Innovation, World Bank Group; Sager Nadershah, Managing Director, Aljazira Takaful; Fareed Lutfi, Secretary General, Emirates Insurance Association & General Arab Insurance Federation; Dave Matcham, Chief Executive, International Underwriting Association of London (IUA); Peter Hodgins, Partner, Clyde & Co; Parvaiz Siddiq, Chief Executive Officer, SALAMA Islamic Arab Insurance Co; Michele Grosso, Co-Founder & Chief Executive Officer, Democrance; Nor Azman Zainal, Chief Executive Officer, Prudential BSN Takaful Berhad, & Sedick Isaacs, Head: Business Support Service, Bryte Insurance Company Limited, A Fairfax Company, among others. Delegates also participated in The 14th Annual WTIC Exhibition where they exclusively networked and connected on a one-to-one basis with leading industry players. Partners at WTIC 2019 included: Al Etihad Credit Bureau (AECB), SALAMA Islamic Arab Insurance Co, HandsOn Systems - Owners of Aktuaris, FIS Global, yallacompare, eBaoTech, Protiviti, Moody’s Investor Service, Merimen, Gargash Insurance Services, Milliman, Netcetera, Clyde & Co, Obrela Security Industries & IRIS Health Services.